It is very important to measure and mark your buttonholes before you begin to sew in order to ensure they will be the right size when finished. 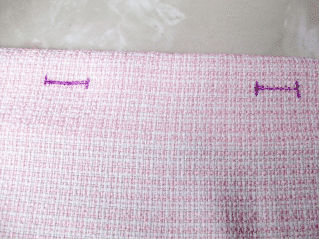 It is very easy for the finished hole to end up either larger or smaller than intended; and difficult to correct especially on finer fabrics which can be ruined if not done right the first time. It is a good idea to practice on a scrap piece of the same fabric until you get it right. If you have interfaced the buttonhole area, then you will also need to add interfacing to your scrap material. 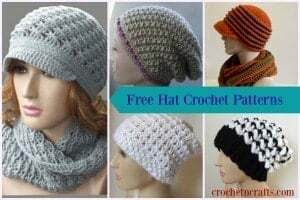 Patterns usually recommend what size button to use, and even provide you with a button guide with the button spacing and size which you can then transfer on to your fabric. 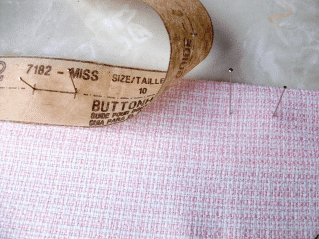 If you have made adjustments to the pattern size then you may need to readjust the spacing between the buttons. Place a button on top of the button marking on the pattern piece and make sure the marking is 1/8″ longer than the button. Make necessary changes to the length before transferring the markings to the fabric. Simply place the pattern piece on top of the garment and transfer the markings using pins. Using a marking tool draw a line between the two pins. Remove the pins.